An international vegan film festival is now open for submissions. Event Founder Shawn Stratton told Plant Based News that they want to 'showcase short and feature-length films with vegan subject matter from filmmakers around the globe'. "Building on the success of its inaugural year in which it received 29 film submissions from eight different countries, the Festival aims to showcase quality short and long-form films from around the world," Stratton added. "The Festival accepts films from both professional and amateur filmmakers with large and small budgets. 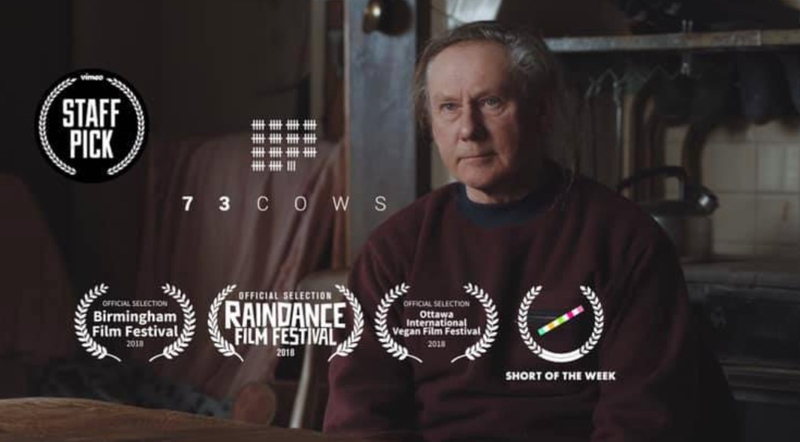 "The 2018 Grand Prize winner, 73 Cows, was actually produced on a very small budget. That film went on to receive the prestigious Best Short Film prize at the 2019 BAFTA Awards and was shown at the European Parliament in Brussels in March."